The Harmony of Heroes project has been presenting artists that will contribute to their album. Not the musicians, not yet. Here are some of the impressive art work that is going into the album. You can check out and download these and many more artwork from the official site's artwork section. That F-Zero went straight to my wallpaper. 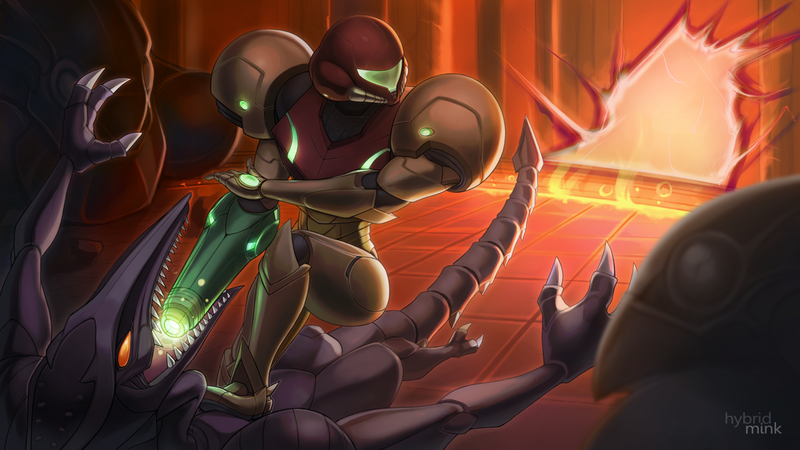 Until the album releases, you can do no wrong in downloading and listening to "Harmony of a Hunter", their previous Metroid tribute album.